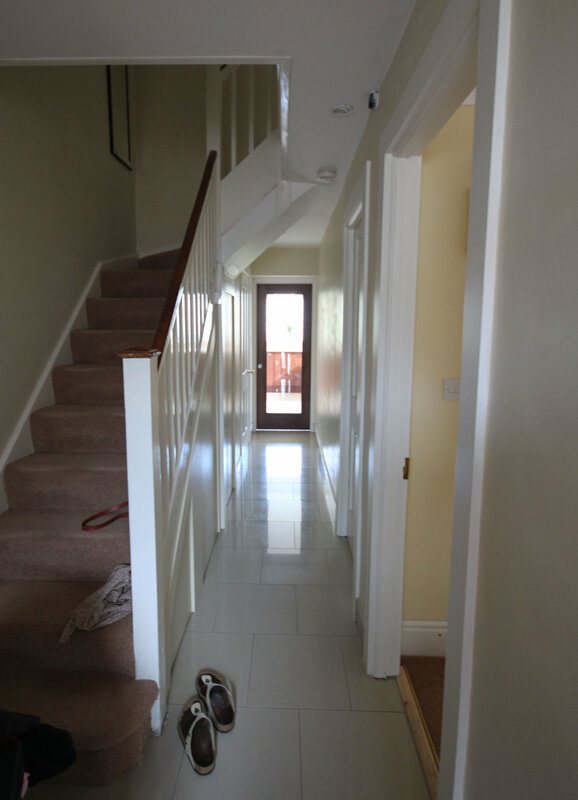 The client here required more space off an existing two storey extension. A "fill in the blank" extension was devised; creating an L-shaped open plan area of sitting, kitchen and dining with minimal works to the existing. A large breakfast bar closes off the kitchen and no over counter presses help the kitchen feel roomier. Glass doors and steel supports placed flush with the ceiling level help bring light in and give a sense of space. 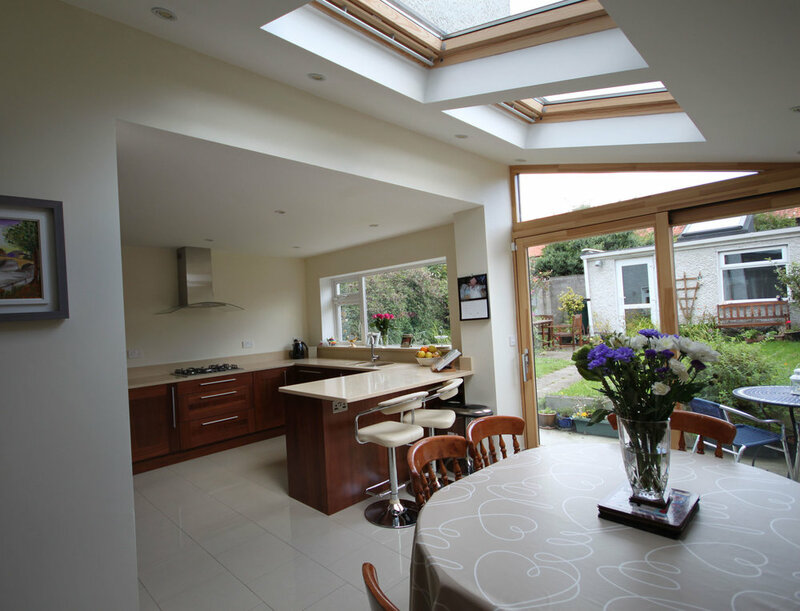 While south facing roof lights maximise the orientation here. Using a black pallet of windows, top light and fascia create an attractive contemporary addition that sits well with the existing.